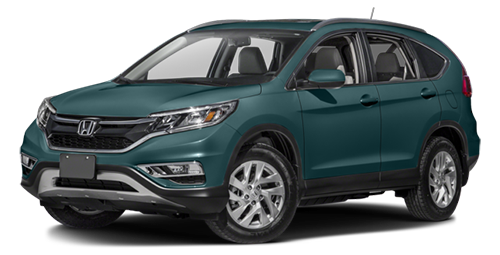 The 2016 Honda CR-V is available now at Brilliance Honda of Crystal Lake for Elgin, IL area drivers, and if you’re curious about the EX-L trim level, there’s essentially one word you need to know: leather. The EX-L model is basically the EX trim level with added leather upholstery, along with a few other premium touches to help further distinguish it from the lower level models. Read on to find out more! Like every 2016 Honda CR-V model, the EX-L is powered by a 2.4L four-cylinder that makes 185 hp and 181 lb-ft of torque. It’s offered with a continuously variable transmission and either front-wheel drive or all-wheel drive. The EPA rates the most efficient configuration with front-wheel drive at 26 mpg city/33 mpg highway/29 mpg combined*. The 2016 Honda CR-V is a class leader when it comes to safety, but don’t take our word for it – the National Highway Traffic Safety Administration** gave the CR-V the best possible five-star overall rating. The CR-V EX-L includes safety features such as a multi-angle rearview camera with dynamic guidelines, traction and stability control, active front head restraints, multiple airbags, and anti-lock brakes. Are you looking for a new crossover? Come learn more about the 2016 Honda CR-V at Brilliance Honda of Crystal Lake, your local Elgin and Crystal Lake area Honda dealer! We’re located at 680 W. Terra Cotta Ave. in Crystal Lake, IL, and we have the CR-V in stock right now!